Four generations of Russian-Jewish immigrants seek love, fortune, and musical careers in New York City and beyond. 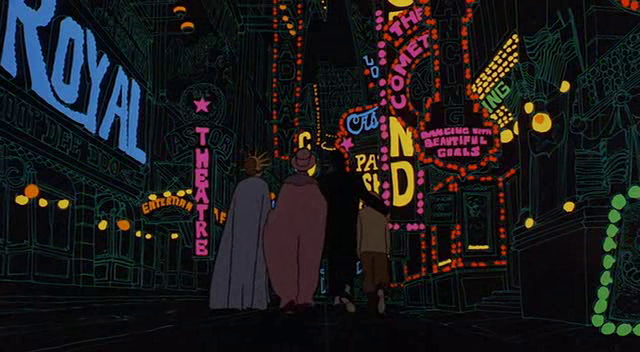 Ralph Bakshi‘s animated musical-paean to the messy glory of American life and the pursuit of happiness offers a satisfying alternative to his more famous yet crasser work (i.e., Fritz the Cat and Heavy Traffic). 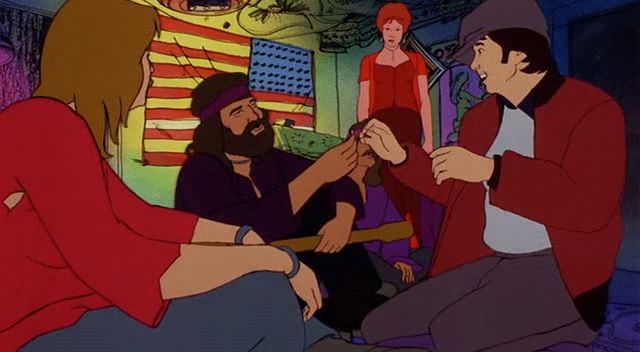 Utilizing impressive rotoscoping and an eclectic array of colors, sets, and styles, Bakshi tells an affecting tale of musicians (fathers, sons, grandsons) living through distinctive historical eras in America. 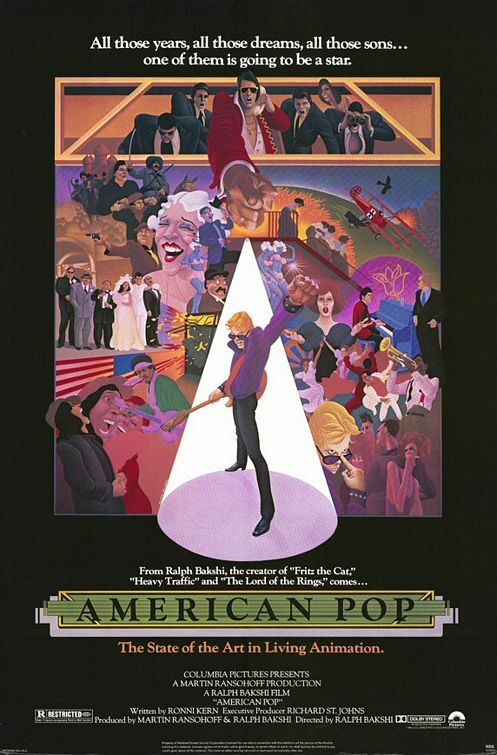 Film fanatics will want to check this one out simply for the consistently engaging visuals and awesome soundtrack — including songs by Bob Dylan, Janis Joplin, the Doors, George Gershwin, Lou Reed, Herbie Hancock, Louis Prima, and the Mamas & the Papas (whew!). Yes, as a good show with enduring cult potential. Listed as a Cult Movie in the back of Peary’s book. 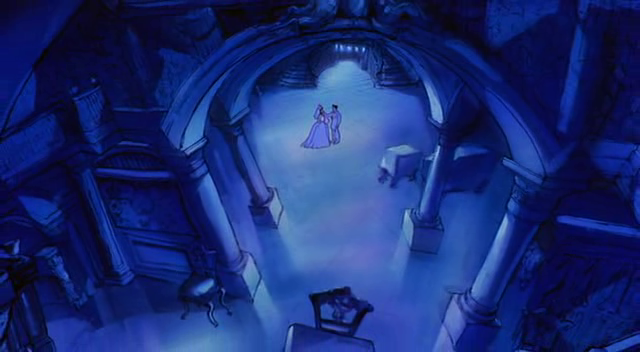 Early on in my screening of this, the thought occurred to me that it could have value for its place in animation history. But that feeling changed and was dampened as the film progressed. Prior to watching, I found the premise genuinely exciting – so I rather looked forward to the watch. 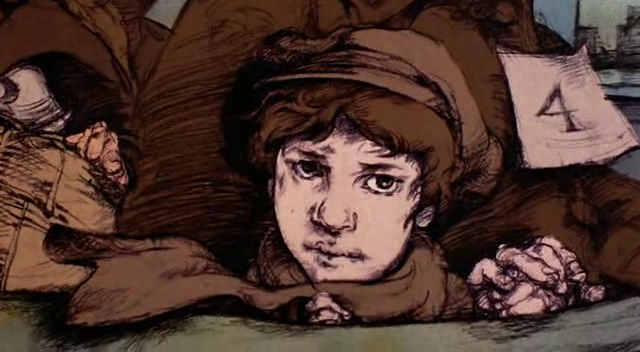 However…throughout, it seems evident that Bakshi was doing his best to compensate for Ronni Kern’s disappointing and not very compelling script. We’re asked to follow characters who simply aren’t very interesting – nor do they say much (if anything) that’s memorable. It ends up making for what seems a very long film – even though it’s only a little over 90 minutes. 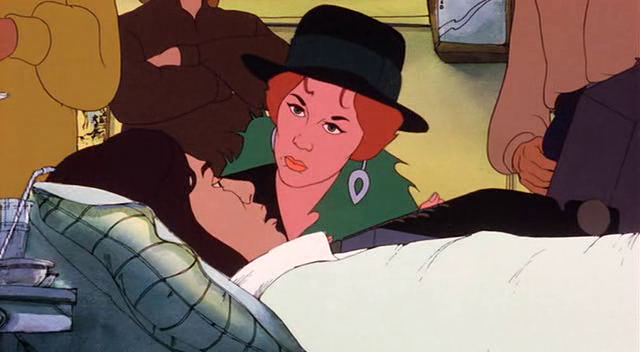 Bakshi has contributed much to the animation genre – and he’s still working – but ‘Fritz the Cat’ remains one of his strongest accomplishments as a director.